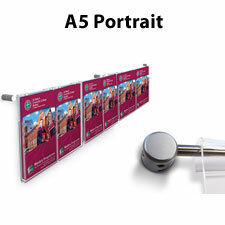 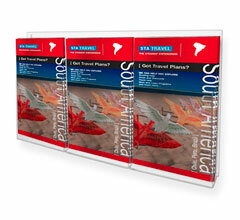 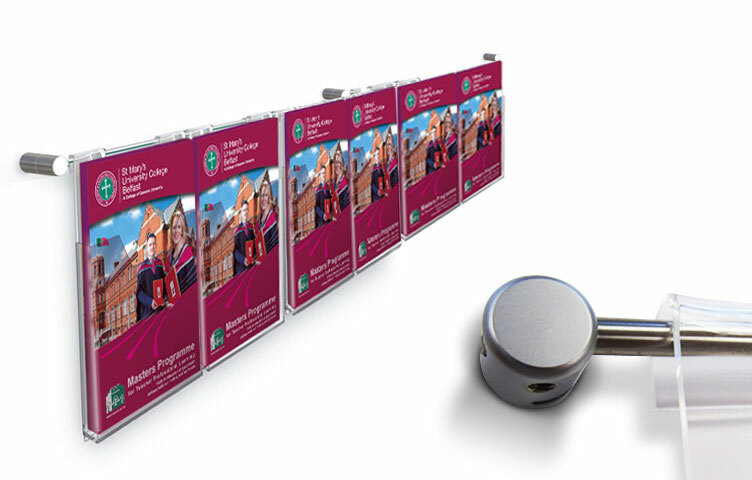 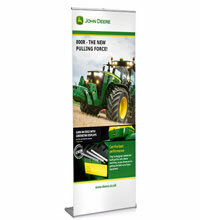 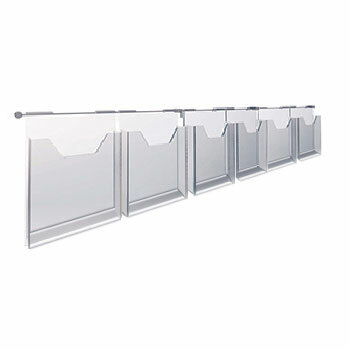 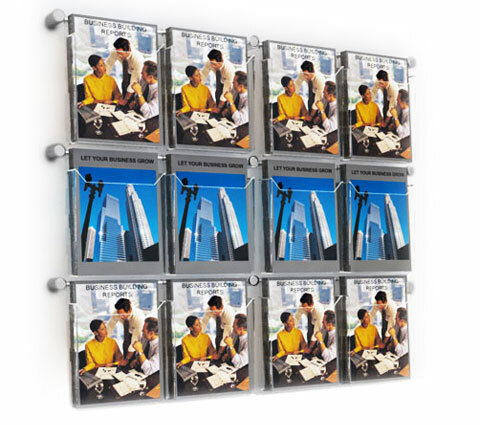 Hook on A5 wall mounted brochure holders perfect for estate agents, retail outlets and offices. 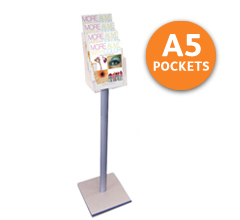 Clear acrylic pockets hook onto sturdy 6mm rods, which are attached directly to the wall using satin anodised sign fixings. 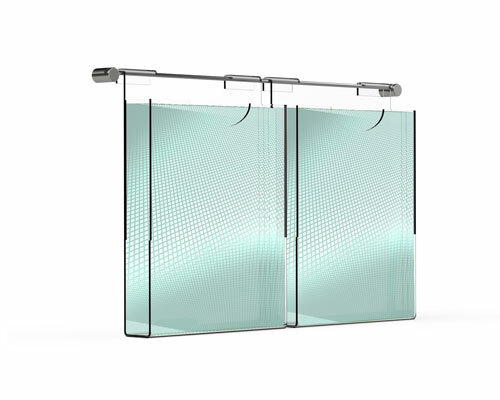 A Contemporary design that is also highly cost effective, you can also create different combinations depending on your requirements. 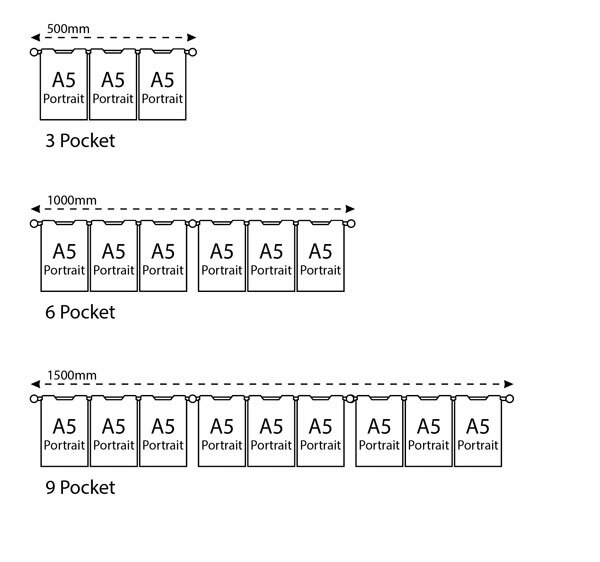 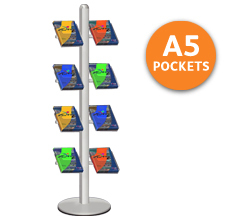 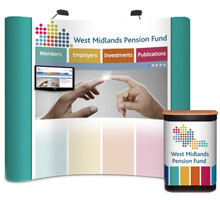 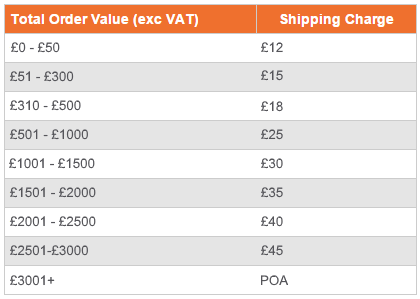 Contact us today on 0116 2554640 if you need to display a mixture of A4, A5 and 1/3 A4 pockets.